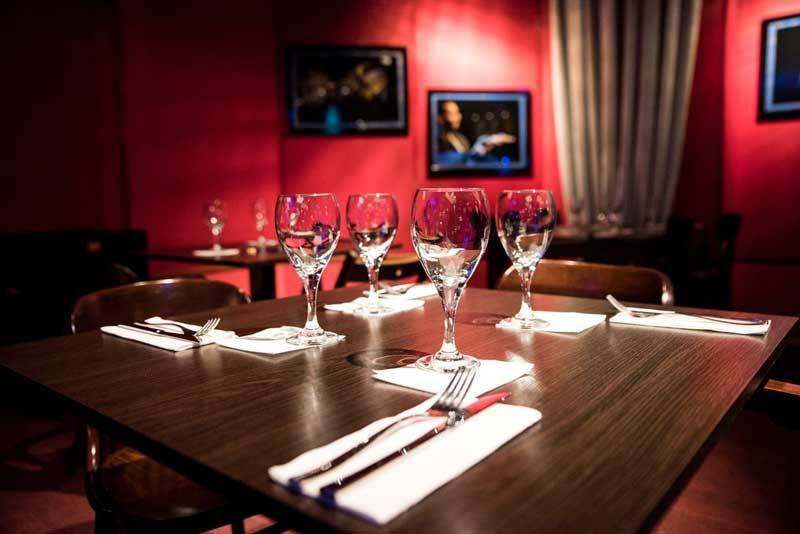 we encourage you to book tables in our restaurant. 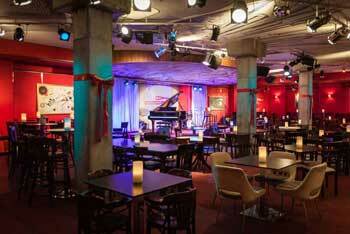 You can make booking for each day when the club is opened, from 18:00 to 21:00. 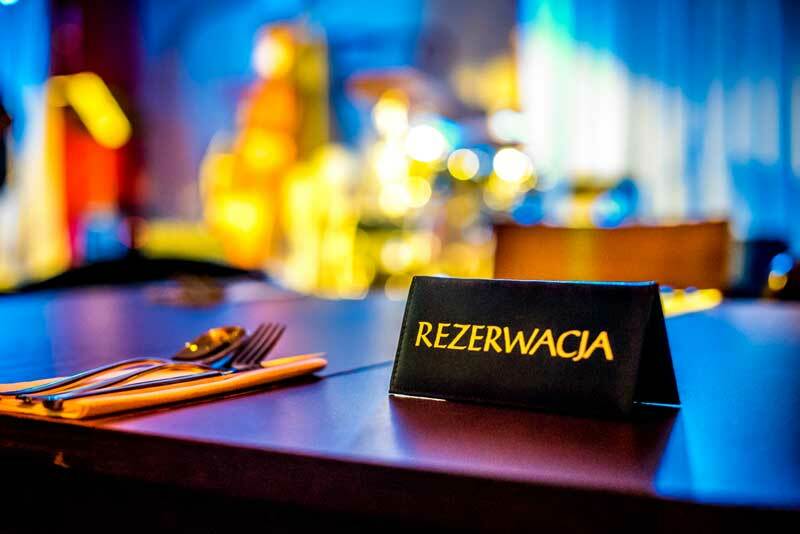 If you want to book a table for Friday, Saturday and Sunday please remember that there is an extra fee of 10PLN charged per person and reservation is possible only to 20:00. Reservation fee should be payed in 3 hours from time You made reservation. 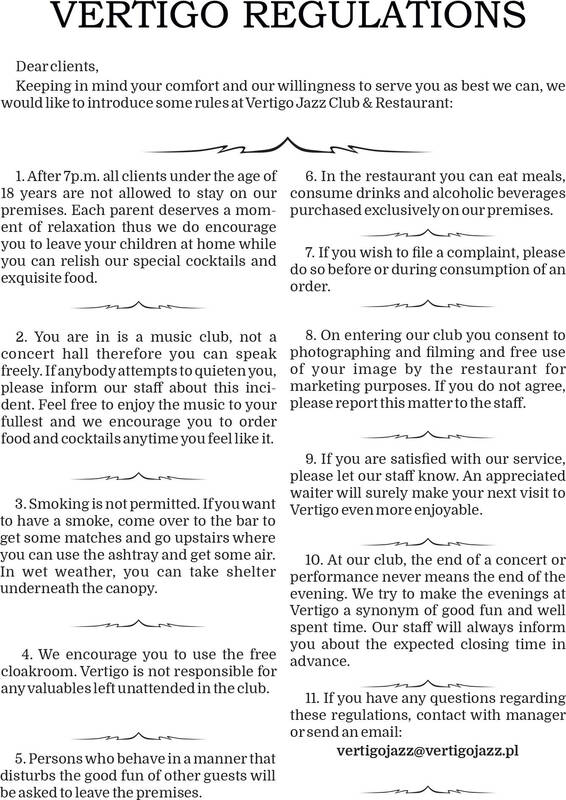 Once you are in Vertigo, enjoy yourself with the welcoming drink and have fun. Reservation regulations. 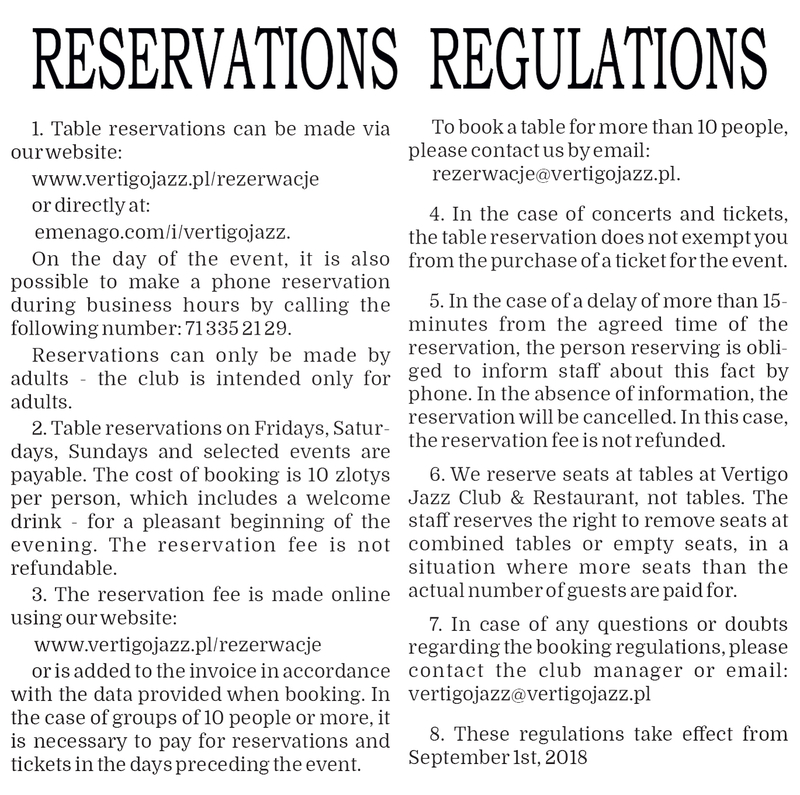 To book table, you can email us : rezerwacje@vertigojazz.pl or call in the opening hours (18:00-01:00): 0048 71 335 21 29.